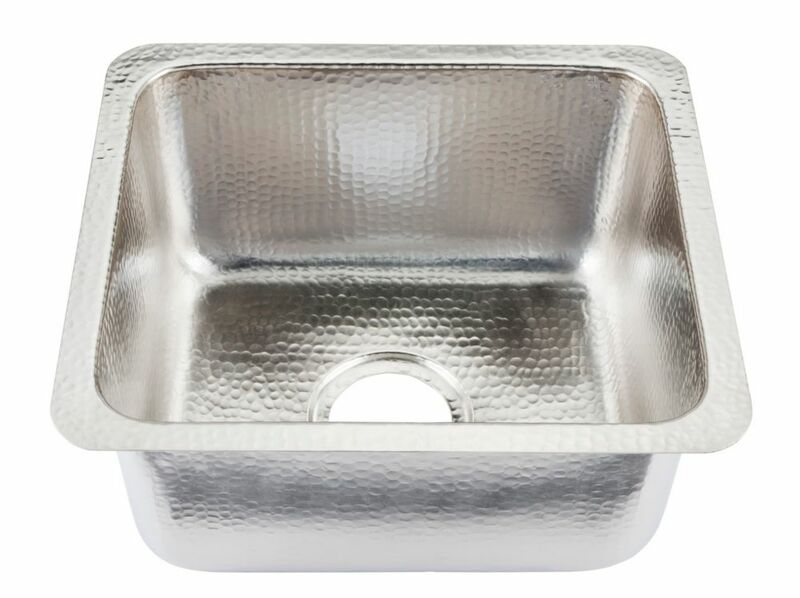 Individually handcrafted sink is made with a luxurious hammered nickel finish. The bold and innovative design offers more than just a sink, it is a work of art for your home. Featuring a maintenance free finish and straightforward installation, a hammered nickel sink from Sinkology is intended for everyday living and offers a limited lifetime warranty. The METRA corner sink in Anthracite from BLANCO is made of 80% natural granite and is ultra-resistant to stains, heat and scratches. The corner design helps save space while optimizing the layout of your kitchen. 2 additional knock-out holes are provided for accessories. Available in store by Special Order Only. See associate for details. Rembrant Undermount Handcrafted 17 in. 0-Hole Bar Prep Sink in Hammered Nickel Individually handcrafted sink is made with a luxurious hammered nickel finish. The bold and innovative design offers more than just a sink, it is a work of art for your home. Featuring a maintenance free finish and straightforward installation, a hammered nickel sink from Sinkology is intended for everyday living and offers a limited lifetime warranty.